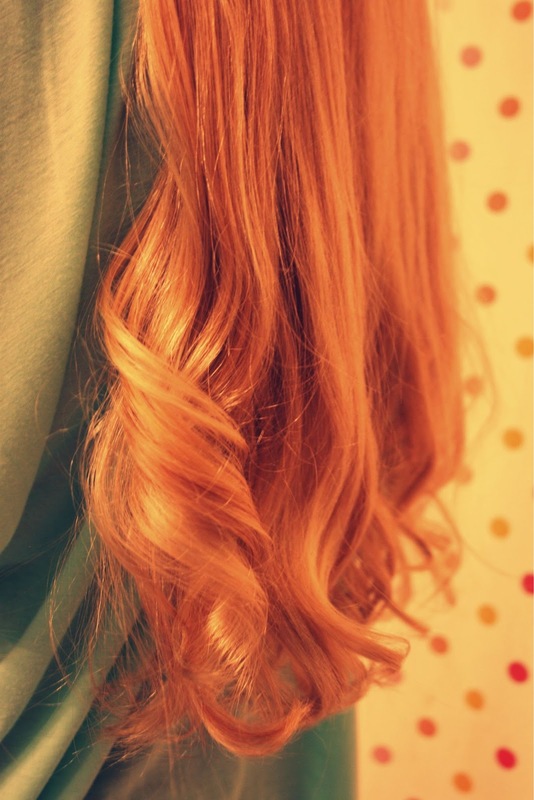 As a little girl, curling my hair meant spending a miserable night with wet hair in foam rollers. The desire to turn my stick-straight red locks into ringlets was greater than my want for sleep. Today, that is most definitely not the case, and thankfully, I have figured out a way to get both curly hair and a good night’s rest! 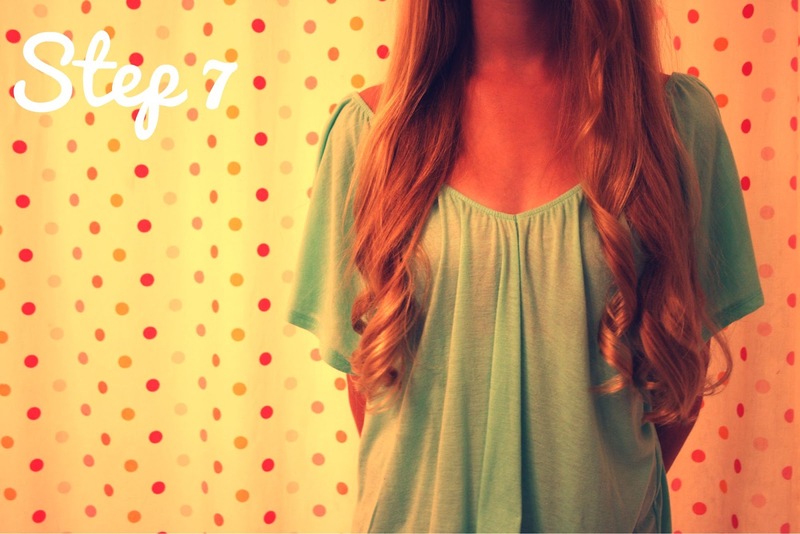 This super easy technique only requires about 5 minutes in front of the mirror, and gives you pretty ringlets that last all day. After trying (and failing) to curl my hair while taking pictures at the same time, I gave up and used the beautiful blonde locks of my sister Chloe. 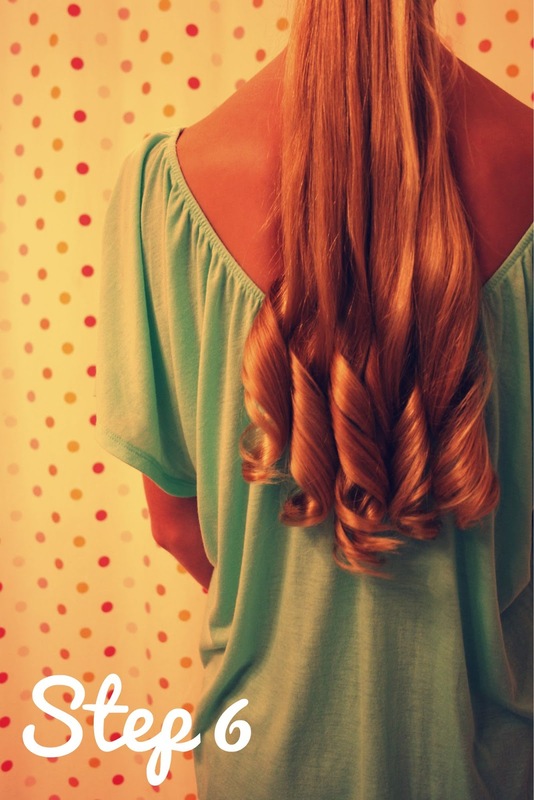 To achieve this look, use a 1/2″ barrel curling iron. 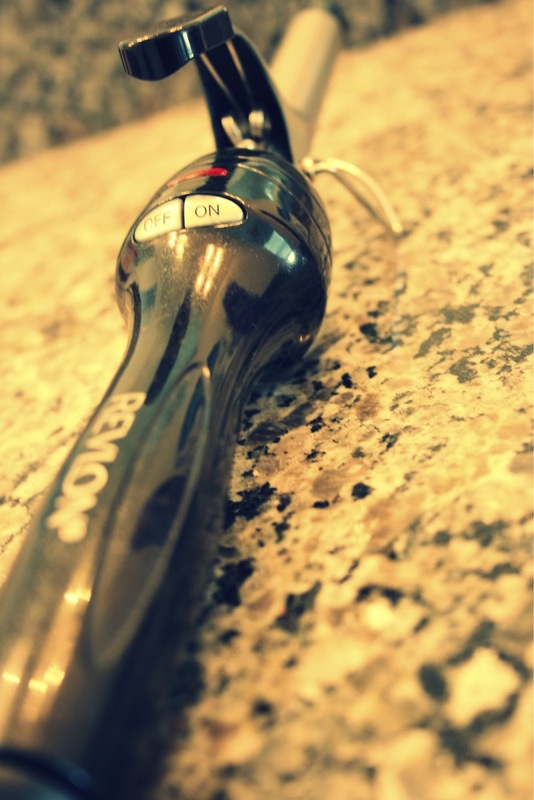 I bought this Revlon iron from Target for less than $20. 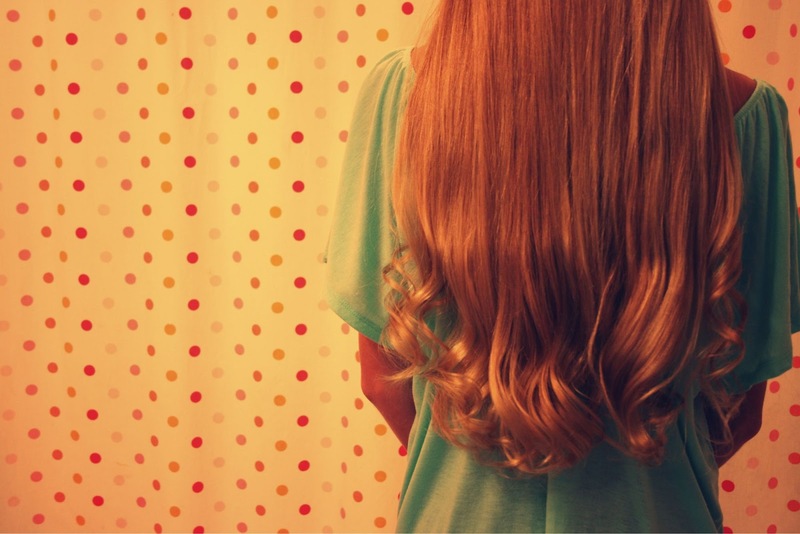 If you want the curls to last longer than a few minutes, you will also need hairspray. My favorite is You Can Shine from Aussie. 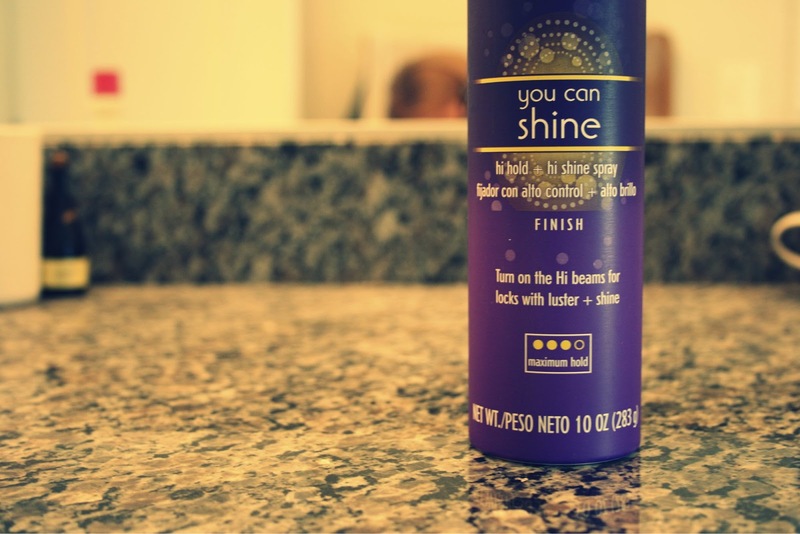 It makes hair super soft and shiny, and gives maximum hold without all the stiffness. 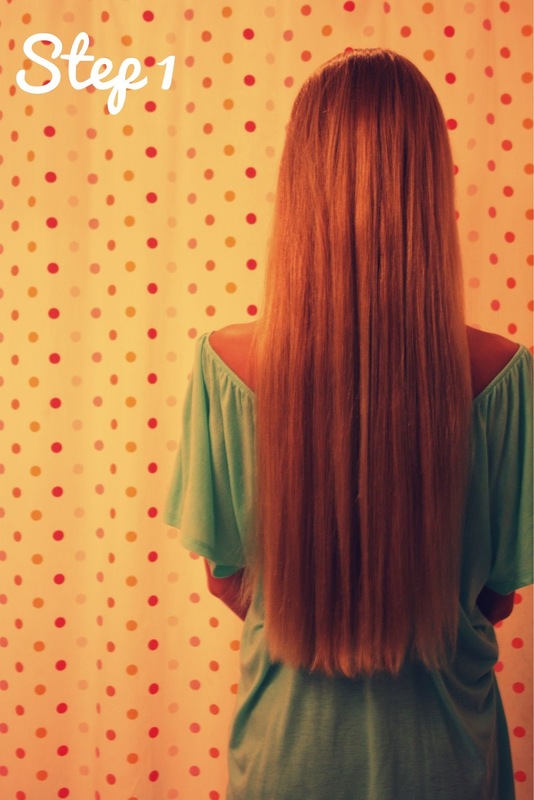 Start with clean, dry, and brushed hair. 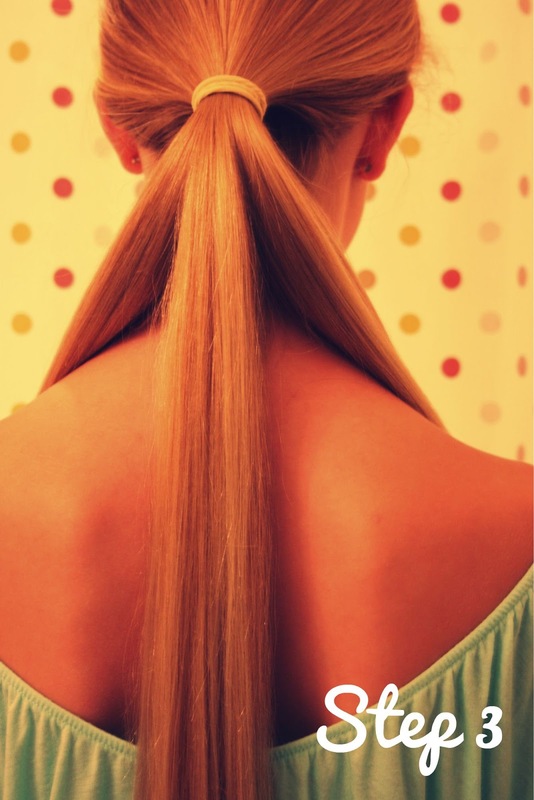 Add a little styling cream to the ends to keep them smooth. I like to use coconut oil for extra healthy, shiny hair. …and divide into 3 sections. 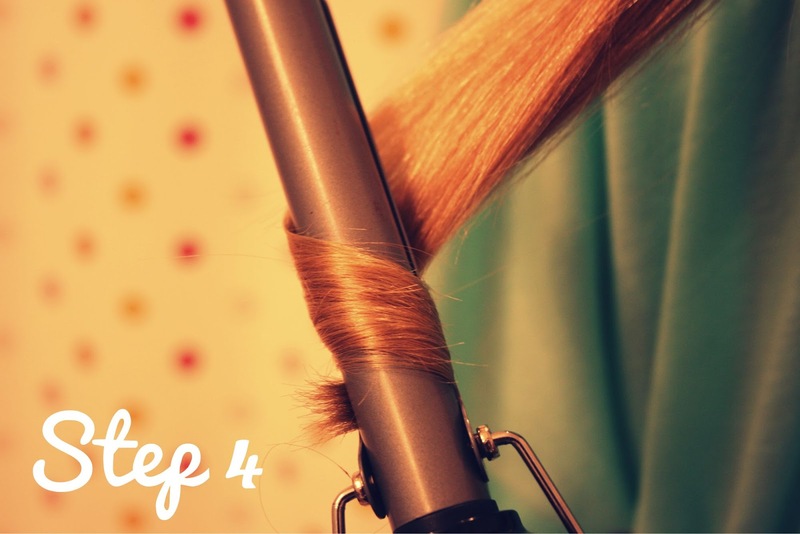 If your hair is especially long and thick (Chloe’s is both), you may have to divide these 3 sections again to make 6 sections. 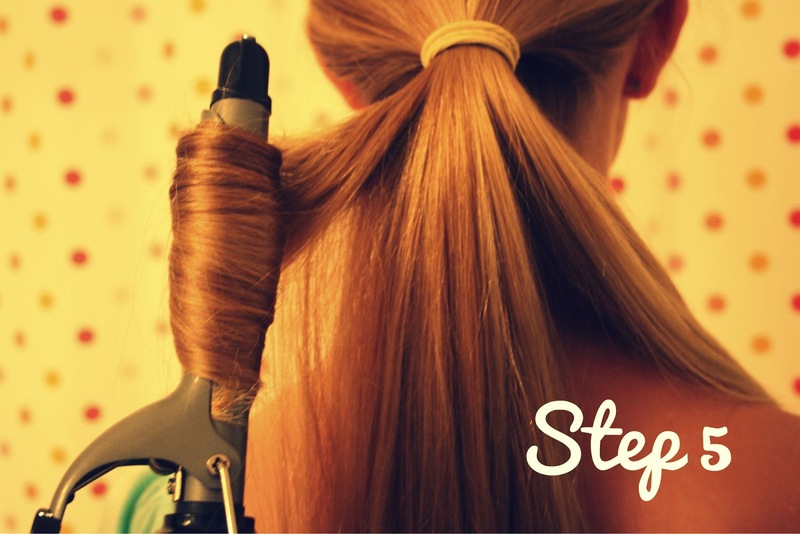 …coil your hair over the clamp and hold for 25 to 35 seconds. Continue until all sections are curled. 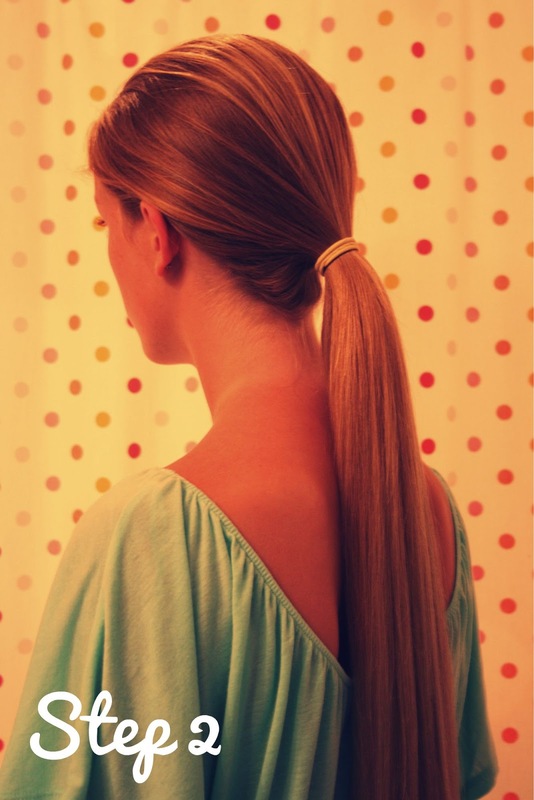 Take hair out of the ponytail and spritz with hairspray. Finger comb your hair, and curl any stray pieces around your face. Enjoy your curls, and have a beautiful day!